There is almost no change in the situational forecast in the 2 days since by blog of the 29th. And, the outlook and anticipated weather developments for the next 10 days remains the same, and is maintained, as mentioned in the blog of 2 days earlier. From the 1st. of June, rainfall (pre monsoon ) will creep up northwards along the west coast of India, and keeping the inland peninsula devoid of any meaningfull rains for the first 8/10 days of June. The eastern coast will remain practically dry. Bangalore can expect a thundershower on Monday/tuesday, but dry thereafter for at least a week. Due to the W.D. changes mentioned below, the actual monsoon , I feel, will start advancing north of Mangalore and into northern Karnatak, including Bangalore, on or after 5/6th. June. ( Another W.D. is forecasted to enter northern India on the 4th. June, and I feel close observations of this sysrem is required). The W.D. (low aloft), now passing thru Northern India, has resulted in a drop in t emperatures. The day temperature in the map alongside of the 31st. shows substantially low days in the U.P. region. The anomoly map shows the picture of the day clearly. Higher reaches of Utterakhand and H.P. had snow on the 30th. However, it was very hot in the southern regions of Sindh, with Turbat reaching 52c today. I had asked this question earlier - asking again, in the revised scenario what happens in Mumbai? Monsoon around 10th June (which is the usual time)? I have replied to your query before also. Please check the blogs for your replies. I can only reply thru blog as I do not have your e mail. Pre Monsoon showers over Mumbai can be expected from 2/3. 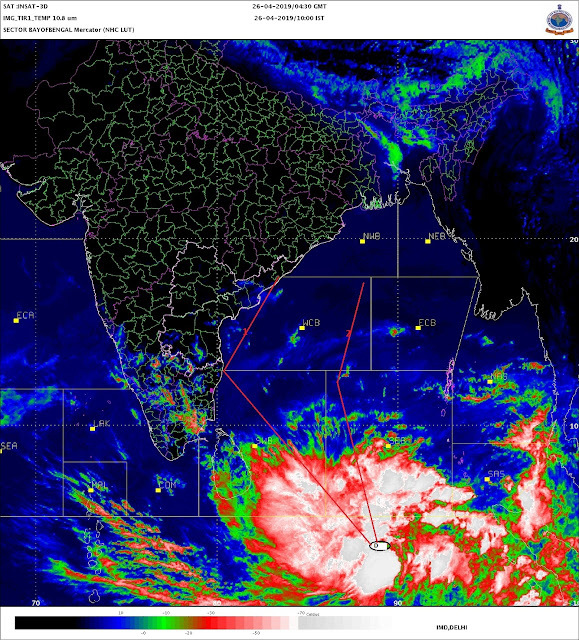 Actual monsoon will progress as explained, and should be over Mumbai by the 8th. Sorry, I didn't mean that, what I meant was what happens in the revised situation. I had seen your reply earlier on this question, thanks.